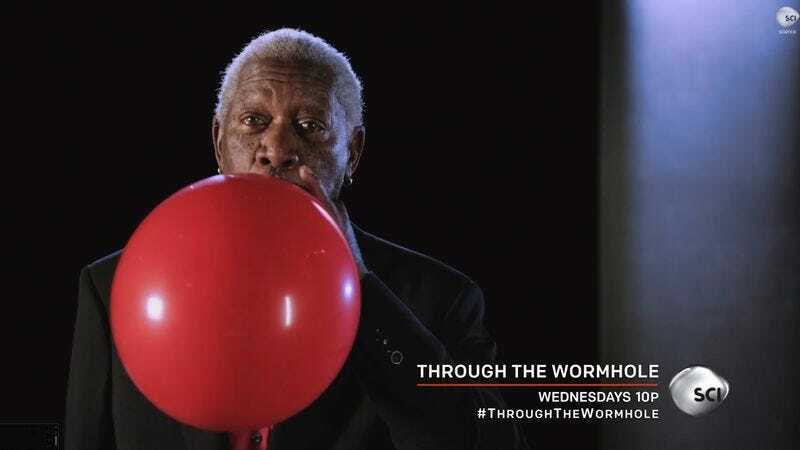 In a recent promo for Through The Wormhole, Morgan Freeman discusses how scientists utilize unusual situations to discover new things. To drive the point home, he inhales helium from a comically oversized red balloon. And while everyone sounds funnier with helium, hearing it on the voice of God is especially delightful. Now to await James Earl Jones’ version.